Given that the US is the main export destination for the Venezuelan oil, it is easy to see why such a measure would be effective, however, there is a serious problem with this plan. A strict embargo would send the price of oil and gas skyrocketing because the sanctioned nation is America's No. 4 oil supplier, and now the Trump administration desperately needs someone to fill the deficit, created by the Trump’s sanctions. Asked about the risk of fuel price increases, Treasury Secretary Steven Mnuchin said: "I'm sure many of our friends in the Middle East will be happy to make up the supply". That’s an overly optimistic assessment of the situation and most oil analysts are rather sceptical too. Mnuchin seems to believe that Saudi Arabia, the only oil producing country in the Middle East with sufficient spare production capacity, will replace the missing oil imports. Theoretically, that’s possible, but it’s quite improbable. The problem is that the Trump administration used the Saudi help in 2018 in the context of Iranian sanctions, basically duping Riyadh to flood the market with oil, while simultaneously secretly handing out "sanction waivers" for privileged US allies. To rub some salt in the wound Trump then took to Twitter to brag about his business acumen and boast about the artificial reduction of the global oil price. For Saudi Arabia falling for the American ruse was a painful error resulting in billions of dollars of lost revenue. The obvious mistake was to trust the US President and it’s quite unlikely that the Saudi leaders would be willing to commit the same mistake twice. The US can’t replace the "sanctioned" Venezuelan oil with American shale oil because American shale oil is of a different variety (it’s too "light" compared with the "heavy" Venezuelan oil) and most of the US-based oil refineries are not suited for processing it. Besides Saudi Arabia, the only other major source of "heavy" oil is Iran. However, Iran is under sanctions too and grating Iran a "waiver" would be a political disaster for the Trump administration. Therefore, the only chance to prevent a spike in domestic oil and gas prices is to convince, bribe or coerce the Saudi leaders in order to increase the shipments of heavy Saudi oil to the US market. For now, it looks like the US plan is likely to fail. According to a Wall Street Journal report, which quotes unnamed sources “familiar with the kingdom’s thinking”, Saudi officials "don’t want to repeat last year’s scenario and are in fact planning to reduce their exports and output next month". If heavy oil imports from the Middle East to the US are reduced, the US internal market for oil and gas will experience a double supply shock that will cause an almost inevitable price increase. Trump supporters will not be happy. Trump’s enemies in the media will gleefully point at the President’s failure to contain the fallout from his own sanctions against Venezuela and his anti-Iranian crusade. Judging by the budgetary needs of Saudi Arabia, the economically rational strategy for Riyadh is to exacerbate the oil deficit in the US and redirect oil exports elsewhere or simply slash all exports below the levels stipulated in the so-called OPEC+ agreement. According to a recent statement made by Energy Minister Khalid Al-Falih, this is exactly what the Saudis intend to do. "Saudi Arabia will be well below the voluntary cap that we agreed to” and will pump beneath its ceiling “for the full six months" of the December cuts accord, he said in a Bloomberg Television interview. The last line of defence for the Trump administration is the release of oil from the Strategic Petroleum Reserve. 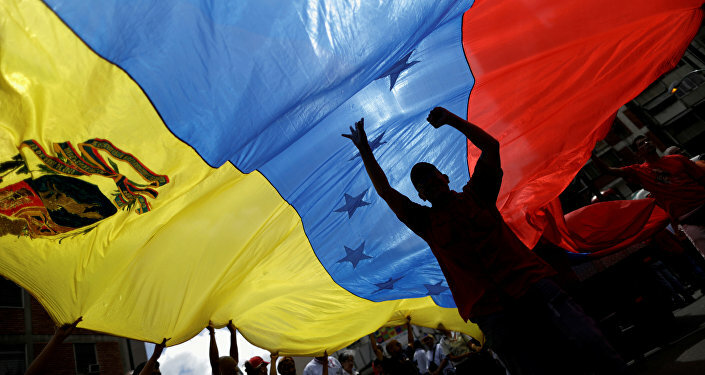 S&P Global Platts reported: "The Trump administration is considering a release from the US Strategic Petroleum Reserve that would be timed to coincide with the imposition of possible sanctions on Venezuelan oil exports, sources familiar with the administration's thinking said Monday. 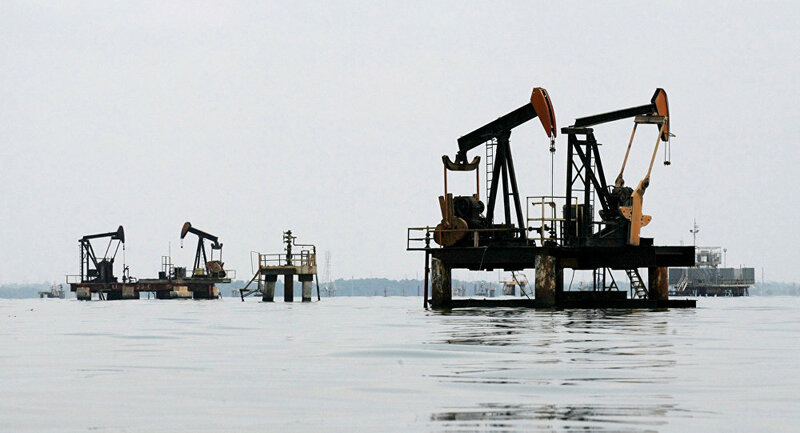 The SPR release would be aimed at blunting the impact of the loss of roughly 500,000 b/d of Venezuelan crude on US Gulf Coast refiners if strict sanctions were imposed, sources said". However, the use of strategic oil reserves would only be a temporary solution. 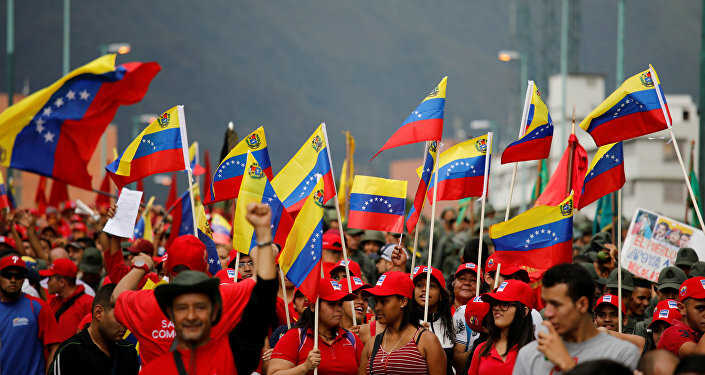 If the US-sponsored coup in Venezuela fails to achieve its goals relatively quickly, then it will be ordinary Americans who will be literally paying at the pump for Trump's attempt to overthrow a legitimate Venezuelan government.